We learn so much on every session. The staff are really excited. The best advice I received as I went into business was 'don't be a busy fool' which referred to working hard but to no gain. Well sadly I didn't heed that advice as I ventured into setting up EVE for our dive centre. I'm computer literate! I don't need to have them in! I can hear me saying it now - busy fool - after our webinar sessions I have to eat my words and wonder at my own stupidity. What took me an age to do was done in the blink of an eye, what I could only imagine EVE might do I now know how to do. Now instead of thinking about how to get it sorted I can concentrate on reaping the considerable benefits of using it. We can conduct this training via webinar for you as this utility allows each of us to see the same screen and take control of the mouse so we can demonstrate the feature / function and then you can master the particular key strokes. It also allows us, obviously, to do this training on your database so that you gain from the "look and feel" aspects of your own data. We connect via a link which we'll send you so all you'll need is a fast – broadband – internet connection and a good set of mic and speakers - headset is best. You can also share this link so that you can have as many members of staff on the webinars as you need. We have found that 1.5 hours is the maximum length that this training should be conducted for at any one time. Thereafter, the learning curve tails off steeply and information and skills learned in the first part of the webinar tends to be simply replaced by new skills at the end of the webinar rather than all being retained. This length of training session also allows you to put those newly acquired skills and newly gained knowledge into practice before the next training webinar so reinforcing the training and allowing you to ask any follow on questions on the next. The EVE auto-email agent, and so on. Then we can move to the Calendar, Course, Trips, Sales, Inventory, Purchases and so forth. Login to our online shop to book your store consulting session. Book 5 sessions, and receive a 10% discount. 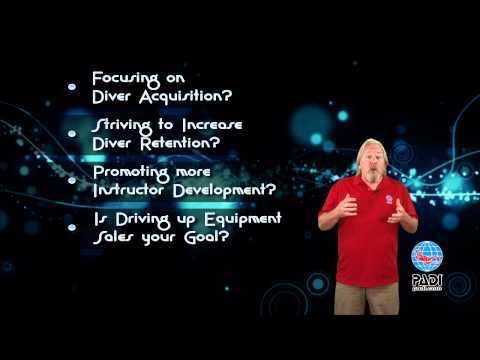 Contact us at support@evediving.com for more information.